If you’re overseas and mention Australia, people around you will probably think of two things; the beach, and animals that can kill you. And not necessarily in that order. 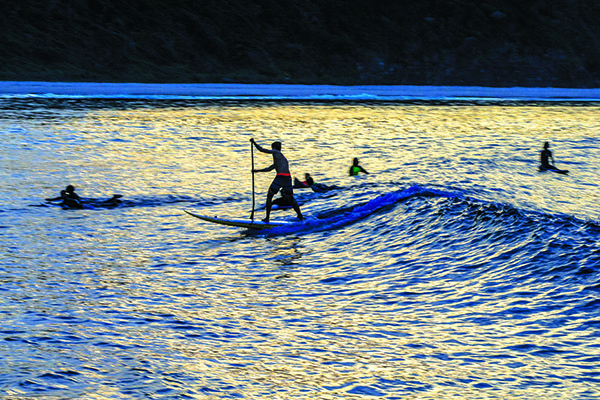 We Aussies have made adoration of the beach a national sport; from surfing to fishing and general frolicking, the Big Blue is a magnet we’re unconsciously drawn to. People who’ve been away from the coast for too long can smell the salt in the air before they even see the ocean, let alone feel its sapphire blue coolness on their skin. However, not all of us were blessed at birth with salt pumping through our veins, a surfboard under one arm, bikini bottoms riding high up our posterior and the crashing of the waves as nature’s lullaby when we drift off to sleep. We therefore tend to flock to the coast for our allotted four weeks annual leave, desperate to soak in as much Aussie beach culture as possible. 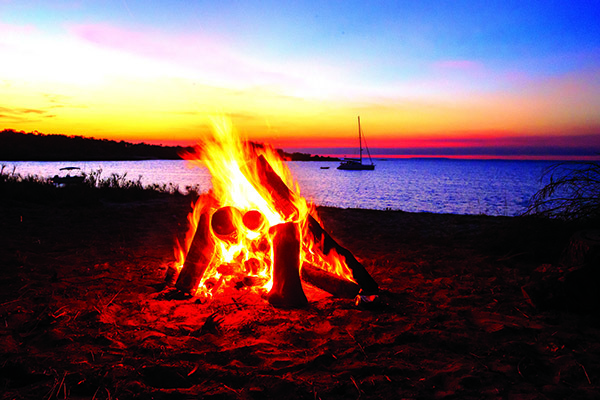 To make the most of your next coastal camping sojourn, take note of these 11 handy tips. Water water everywhere, but not a drop to drink. Even though you’re surrounded by water, you’ll need to pack a decent supply of H20 of your own. Seawater can’t be consumed unless you’re using an osmosis pump. Your body will be losing water from the wind and the sun, let alone the dehydration that will occur if you’re beating your mates at beach cricket or engaging in after dark drinking activities of the non-H20 variety. The trick here is to observe your urine and as the Army says, rather eloquently, ‘piss clear twice a day’. If it’s clear-to-straw coloured you’re doing OK. If it’s yellow you’re dehydrated. If it’s orange or brown, stop what you’re doing and drink a bottle of water, for Pete’s sake. We all know about the importance of water safety and the value of fencing-in the pool to avoid kids drowning at home, but we live on an island and it’s impossible to fence 30,000km of coastline including around 10,685 mapped beaches. So while the kids may have the benefit of an adult’s eye on them, is the adult as ‘responsible’ as they should be? The average age of those who drowned in the last year was 43.3 years, with the average age of females slightly lower than males (41.2 years for females and 44.1 years for males) And Grandma and Granddad shouldn’t smirk at Mum and Dad’s statistics. Adults over the age of 65 are twice as likely to drown than people who are younger than 24. If you don’t have the swimming and, specifically, ocean prowess to keep your kids safe, ensure they only ever swim between the flags. Even Olympic swimmers swim between the flags! The reason we have so many restrictions on where we can camp and when is because some people treat the world as their personal urinal and garbage disposal site. By now, we should all be familiar with the phrase ‘take out what you bring in’, but too many of us simply ignore such common sense measures. Others simply don’t know how best to protect Mother Nature. Take, for example, choice of campsite. Dune systems are a sensitive ecosystem of unique plants and animals, they’re not a playground. And they sure ain’t a suitable cess pit. If we want to enjoy places year after year treading lightly is essential – particularly when there are 24 million of us (not to mention the 8.5 million international visitors each year). 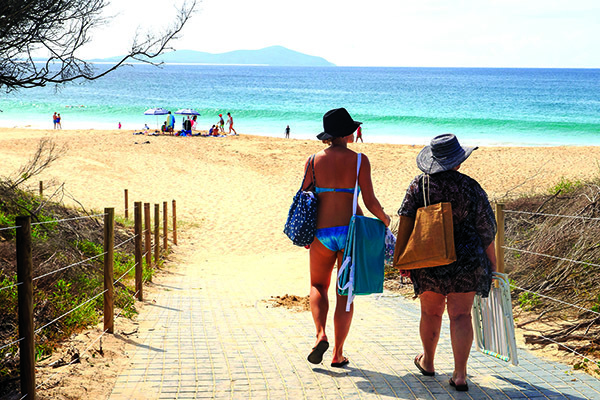 There are no privately owned beaches in Australia; beaches are public places for all to enjoy. But above the high tideline is another matter. There are 30,000km of beach out there where someone owns the adjacent land, which means there are laws that regulate how we access beaches and what we do when we get there. 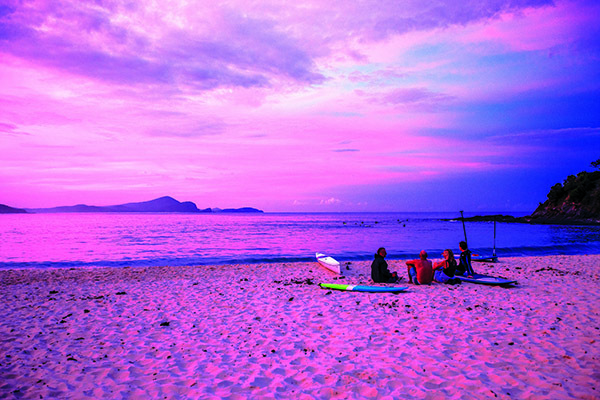 In many places, it’s not legal to camp directly on the beach. 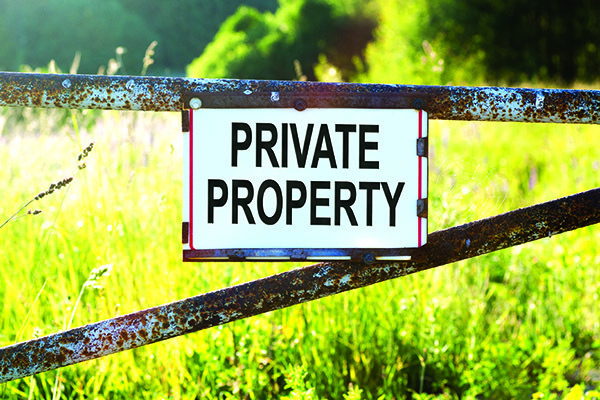 Make sure you know what’s permitted and what isn’t at your chosen seaside destination, and always respect private property. To make your seaside stay as pleasant as possible, there are some sensible factors to take into account when setting up camp. Coastal areas are usually exposed, so the wind direction can really affect your comfort levels. The trick is to find a sheltered spot where the wind hits the back of your camp, if at all. If you’re near a communal fire pit, also think about where the smoke is going to blow. Most 4WDs and camper trailers have an awning and mega-gazebos are gaining greater popularity, too. But when the Southerly Buster or the Fremantle Doctor comes a knockin’, these contraptions can quickly start performing like a sail on the HMS Endeavour. Position them well, and peg them down securely. In Australia, summer’s favourite bedfellow is a fire. State laws and local councils all have different regulations you’ll need to consider, not to mention the various fire services. Always check for total fire bans, and always respect them to the letter. In general, fires are not permitted on beaches within national parks so best to look for signs and check with the local office. If it is legal, remember that a fire can smoulder and coals can glow under sand for a long time and potentially injure the next lot of barefoot revellers. Put it out with buckets of water, not sand. Indeed, this is best practice at any campsite, not just the beach. There are horror stories of barefoot toddlers copping nasty burns as a result of poor practice on this front. A dustpan and broom or a mini vac will save endless hours of clean up when you get back to your driveway. If you hate sand where the sun doesn’t shine you will equally hate it when someone forgets to wipe their feet before climbing into the camper or car. Sand between the sheets is enough to drive even the most sound of mind balmy, not to mention when it makes its way into every nook and cranny of the camper and car where it promotes rust and wear. Having a mini vac to clean up after your family will be just as handy as the carwash on the way home. This one is an extension of that old 1980s adage. Slip on a shirt, Slop on the 30+ sunscreen, Slap on a hat, Seek shade or shelter, Slide on some sunnies. Why? Because most of us lose our inhibitions at the beach, take more clothes off and take more risks with our body than usual. Let’s face it, you’re no Elle McPherson and the last time your office glow saw the sun was back when Jesus played fullback for Jeruselum. Follow these steps to reduce heat injury and cancer. Let’s face it, it rains a lot on the coast and summer storms are probable. Not to mention nightly dews are heavier simply due (no pun intended) to the higher humidity. This will make your favourite camp chair a soggy seat – not the ideal place to enjoy your breakfast. Packing up your chairs and/or moving them undercover will spare you a sodden bottom. You also never know who may be lurking with an eye on your gear. It pays to put away valuables and chain up the canoe/bike/BBQ. Also, when swimming think of hiding your keys in an empty Pringles container on the snack table or some other ingenious method of misdirection to limit loss and theft. Even if you’re not actually on the beach, sand pegs can be a lifesaver. On open ground or at coastal caravan parks, the appearance of lush green vegetation may belie the instability of the sandy ground beneath. Once you’ve bought them, leave them in your camper or fourbie. A full set of quality sand pegs will also come in handy for your next trip to the desert when you’re around inland floodplains or involved in 4WD recovery. 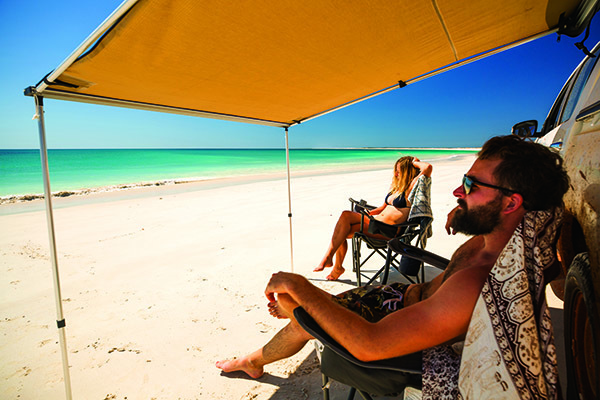 If you’re going to be camping regularly at the beach and your camper isn’t fitted with midge-proof mesh, consider customising it with shade sail mesh instead of mozzie screens. This will give you more privacy during the day when changing into your budgie smugglers and will protect better against sandflies and midges. It’s also tougher than flyscreen so it will stop the kids ‘accidently’ putting a hole in it. If you want a good night’s sleep, trust me on this one.